AIKEN, S.C. -- Children can be heard screaming “just stop daddy” on a 911 call made from the home of a South Carolina legislator accused of beating his wife and pointing a gun at her, local media reported Friday. 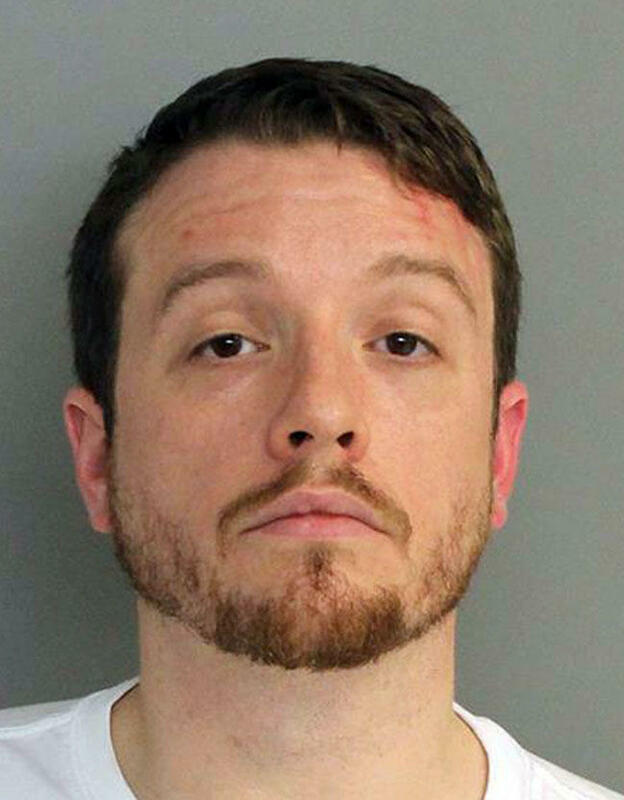 Republican Rep. Chris Corley, of Graniteville, is charged with first-degree criminal domestic violence and pointing a firearm at a person. If convicted, the felonies could send him to prison for up to 15 years. Corley’s wife told deputies he stopped hitting her late Monday only after noticing she was bleeding and hearing the screams of two of their three children, ages 2 and 8. Corley said his wife tried to punch him after accusing him of cheating, and the police report noted a scratch on his forehead. It’s unclear if Corley, an attorney, has hired a lawyer. He has not returned voicemails from The Associated Press. In the first 911 call to Aiken city police, no one talks to the operator but “please stop” can be heard repeatedly. That prompted the dispatcher to call Aiken County 911. “I had a caller, sounded a lot like children screaming for help and begging for their father to stop,” the operator said. That corresponds with the police report released Tuesday, which said Corley’s wife took the family to her mother’s house across the street after he threatened to kill her, then said he would kill himself. The report said she ran with the children when he went to the bedroom. Deputies can be seen in a dash cam video driving to the home where the incident occurred, CBS Charleston affiliate WCSCreported. Deputies also question dispatch about the firearm police Corley reportedly had. A judge set Corley’s bond at $20,000 and ordered him to not contact his wife. Corley didn’t talk about the charges during his brief hearing Tuesday. He’s also barred from handling a firearm. House Speaker Jay Lucas has promised to take action if Corley is indicted. By state law, Corley must be suspended from the House if indicted on a felony charge. The 36-year-old Republican was easily re-elected to a second term last month with no opposition. Corley’s arrest comes after a legislative session where lawmakers strengthened punishments for domestic violence. Gov. Nikki Haley made it a priority to reduce the state’s high rate of women killed by men who know them. Corley voted for the legislation. During the debate last year on whether to remove the Confederate flag from Statehouse grounds, Corley suggested replacing it with the white flag of surrender and held up a piece of paper taped to a pencil to illustrate his point. The debate followed the massacre of nine black parishioners in a Charleston church by a white man seen in photos brandishing the rebel banner. After the flag was removed in July 2015, he sponsored a bill calling for a statewide vote on whether to return the flag to a pole in front of the Statehouse. The bill went nowhere.